Do you remember Guy Adams? 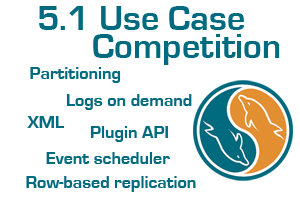 He was one of the winners of the "5.1 Use Case Competition", ending up on position #2. Guess what: He has a webinar coming up tomorrow, by the title Deploying MySQL in a High Performance Satellite Network Management Environment by Parallel. Join us for this informative technical webinar with Guy Adams, CTO at Parallel, whose flagship product SatManage is the worldwide leader in visualization and automation software that integrates NOC applications for satellite and hybrid networks. In this seminar Guy will talk about their migration from Oracle to MySQL, and the performance boost they gained from it. He will also talk about their application caching layer which provides a different but complementary philosophy to memcached, aiming to overcome of the issues with memcached in a data warehousing type application with CGI performance. Timing:Ã‚Â Tuesday, 3 February 2009, 10:00 am PST, 1:00 pm EST, 18:00 GMT.